It’s been 12 days since everyone left their perspective homes to come here to labor for the Lord in the Philippines. To say this trip has been a whirlwind would be an understatement. Our team consisted of Mark and Rita Jantzi from New York, Paul and Pavlina Davis from Mahomet, IL, Martin Kluson from the Czech Republic and Chijoke and Iffy Nwauche from Nigeria. We definitely are quite the International Team. Our purpose here has been three-fold. Our first purpose was to join with our Filipino brethren at their Annual 3 day Conference that is held at the Karaga Hotel in Butuan City. We arrived the day before the conference to get a much-needed rest after the 31 hour trip. The Lord impressed upon the team to spend each morning and evening together in prayer and assessing each day’s events. This proved quite valuable in keeping focus and hearing from God as to the order of the battle. The night before the conference the Lord brought us a dream that laid out His plan for the conference. He showed us who would lead the charge, the type of message to bring and the results that would manifest in our midst. We witnessed it to be God; thereby we followed the leading of the Spirit. The conference led us into “A New Covenant” that God wanted to reveal to His people. 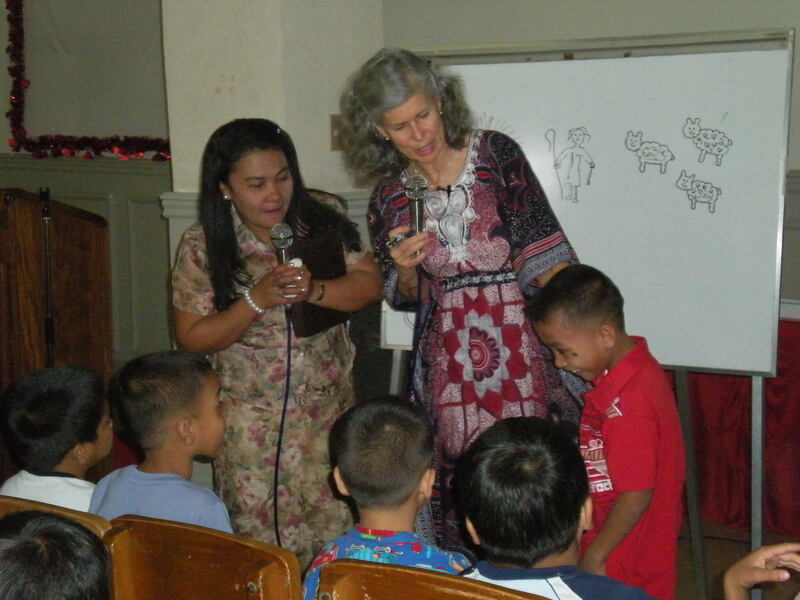 There were 150 people in attendance, which included about 50 children ranging from 4 to 8 in age (all from the school). It was a wonderful time of seeing many of them, though poor in this world but rich in spirit, in their desire and need for God. We would have a children’s word each day in which the young ones responded quite well to the Word of God. 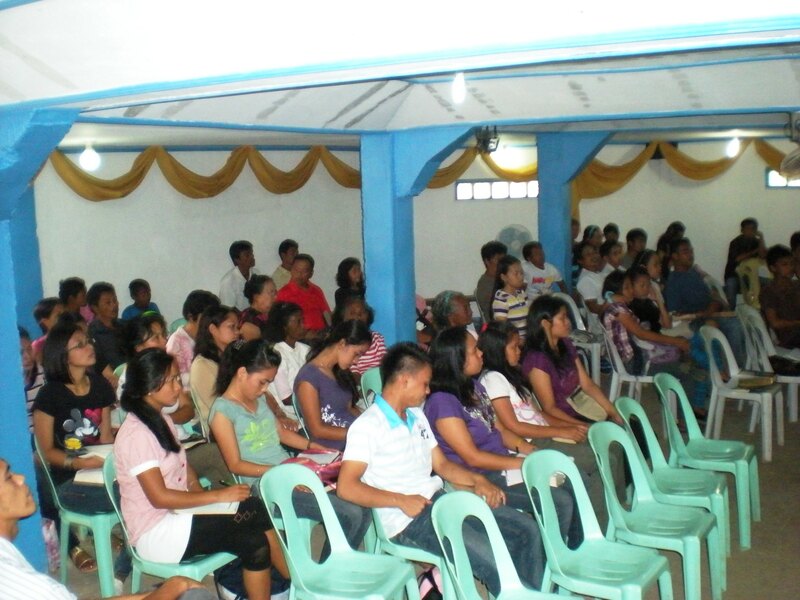 Each session brought forth the Word of God, which then brought waves of repentance, prayer, and worship. It was quite moving in seeing God touch the needs of the Filipino people. We witnessed two distinct times of cleansing where many came forth for deliverance, healing and salvation. Each time you could visibly see a change in the brethren. The conference ended with tremendous joy and thankfulness among us all. Our second leg of the journey took us to a village one and a half hours away from our home base in Butuan. 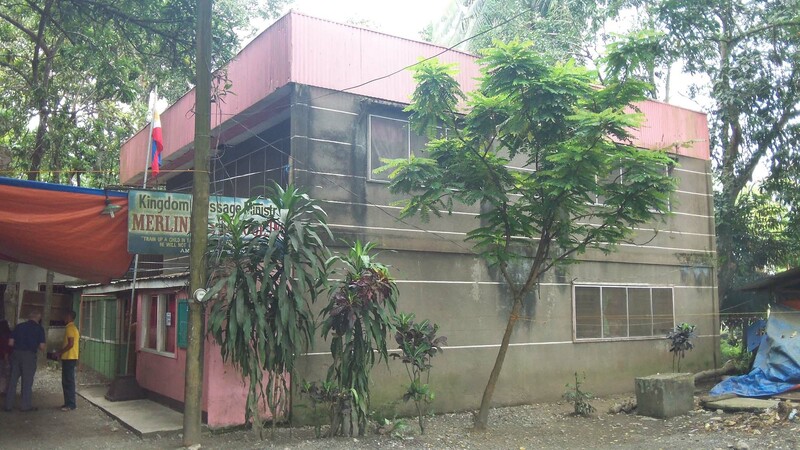 Here in this small place is a Bible school that has approximately 25 students ranging in age from 17 to 22 years. This was our third time in coming to the Bible school. The main messages centered on the false church doctrines, contemporary music and modern dress. Needless to say that the move of God was so powerful that it challenged many, including the directors, Br. Edmar and Sis. Medlyn, to take a hard look at their motivations and manner of living. We had two times of praying with the young people and many of them found themselves before God in repentance of sin in their lives. It will be one of the most notable times that we, as a team, experienced. Two days after the conference Br. Edmar and Sis. Medlyn visited us in Butuan saying they had just finished having a 14-hour session with all of their students. They are looking to God to come into a greater understanding of what the changing of the soul will do for them. Please pray for them that they will succeed in God and overcome all of the national and religious spirits that reign over their land. The day after the Bible School meetings Br. Chijoke, Sister Iffy and Br. Martin left to return to their home lands. This left the remainder of the team to work on the last and most needful segment of our trip – the work at the Kingdom Message Ministry School founded by Sister Merlinda here in Butuan. The school is mainly supported by sponsorships of the children in the USA, Czech Republic and Nigeria. The school is in its 3rd year of operation and will start its fourth in June. (Their school term goes from June to March). The school has grown from 40 children in its first year to the current enrollment of 117. The grade levels are nursery, kindergarten, 1st and 2nd Grade. In order not to lose our second graders, by faith we are planning a 3rd grade for the following year with an expected enrollment of 140 students. Currently we rent a building to house the school, but it is already too small so we are looking at possibilities to rent a room nearby for the new grade. However, by faith, we are believing that we will build a school to house all grade levels with land for the children to play and exercise. Merlinda has a piece of land that is about 3 acres in size which she is donating for the school to be built upon. The building itself will probably cost about 300,000 dollars. It is a lot of money but I am reminded of the scripture verse in the book of Hebrews 11:1, Now faith is the substance of things hoped for, the evidence of things not seen. It is a big task to organize and operate a school. Pavlina Davis, who was trained in business and management, has been invaluable here. Her job in the United States is the handling of all the sponsors for the children, running the web site and doing the financial work. It is a part-time job of about 20 hours a week which she does on a volunteer basis. There are others that are actively working with Pavlina, Merlinda and the administrator for the school. We are here at this time to help the school reach its goals of operations and to set an environment for them to learn, both naturally and spiritually. Currently we have four teachers and a staff of an administrator, an office clerk, guidance counselor, two part-time janitors and a security guard. One of the things that we are lacking and that is required by law is a principal that could come in part-time to help us. Last night we met with a woman who has 40 years of experience in the state’s school system. First, as an elementary teacher, then as principal in many places and, finally, promoted to the government for oversight of the school systems. She has previously come to our Filipino school for evaluations and is now retired. Merlinda inquired if she was interested in being a principal and wanted us to meet her. Needless to say, we received a lot more than what we thought. She shared with us how she lost one of her children in death in the past few years and then her husband passed away as well. She went on to say that also she found out she had cancer in the lung. They had to do surgery and she was very scared until the moment when they wheeled her into the operating table. At that point she had a vision in which she saw an angel of the Lord standing before her. A voice spoke to her not to be afraid and that He, God, would be with her. Suddenly she had such a great peace that was never experienced by her before. She no longer had a fear of death. The operation was successful and she believes that no matter what the consequences that lie ahead of her, she knows the she is in God’s hands. She also stated that God has extended her life for a special purpose. She then announced to us that she would be most happy to help us on a once a week basis to work at our school to give oversight and guidance to the teachers. Needless to say, we were elated of hearing her decision. We also met with all of the staff at the school, doing interviews and making an overall assessment as to what improvements and changes can be made. An internal audit of all legal documents and bookkeeping was made to insure that everything would be in proper order. We feel we are accomplishing our mission and therefore the school will be on a much firmer ground and foundation for the upcoming school year. We had a meeting with the teachers, staff and parent representatives to answer and field any questions or input that they had. Some of the needs were for new uniforms for the teachers; second uniforms for each student so that they have a clean set to wear while the other one is being cleaned; painting for all the desks and chairs are needed to refresh them for classroom use; we also need to improve airflow in the classrooms with larger fans. Other needs were spoken and we believe God that He will provide the improvements and needs for the coming year with the increase of a new grade and students. Some fellowships have expressed an interest in supporting a particular school’s need not covered by the child sponsorship support. We hope to be able to send out a list of these needs in near future. There is one more thing that has touched me in my heart. Though I have been in the third world countries for 24 years doing the work of the gospel of the Kingdom, I began to feel the need for the children here in the school as never before. Yesterday, as we were having a meeting at the school with all the children, we were noticing many of them with rotten or little teeth. It was not only the children but a number of the mothers as well. Sister Merlinda explained something to us. Almost all of the children at the school come from the poorest of the poor. The vast majority of their meals are simple rice with a little flavor like soy sauce. Br. Mark Jantzi was a former field nurse in Alaska as well as a nursing home administrator. He said the main reason for the loss and deterioration of their teeth was the severe lack of nutrition. The school, at present has a once a month feeding program. This enables the children not only to have rice but a little chicken and vegetables. The cost of a one-day feeding program for all 117 children is between 75 to 100 dollars. It is all the school is able to afford at this time but my heart is to see this expand to a minimum of twice a month or better yet, once a week. Now, Br. Mark and Sister Rita will continue on with the work in the Philippines for six additional weeks while the rest of us leave on March 5th. 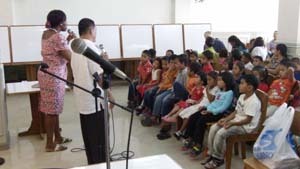 They will need our continued prayers as they actively work with the Bible school, the elders in the Butuan area and the Kingdom Message Ministry School for children. Lastly, we want to thank everyone for your prayers and various supports for the work here in the Philippines and the team that has labored here. We also want to thank each of the sponsors who support a child each month. Your investment to the Lord is not in vain. Many mothers as well as the children have now committed their lives to the Lord. It is a blessing to see these little ones with clean clothes and an education where they are taught to love and fear the Lord. I am writing this letter in regards to the work in the Philippines. Since our last missions trip there in May a number of new developments have opened for the work there. New doors and opportunities have been opened concerning the spreading of the message of the Kingdom of God. 1. Manila- Quezon City. We had tremendous breakthroughs here in this new area with 12 of our brethren being water baptized at the end of our visit. 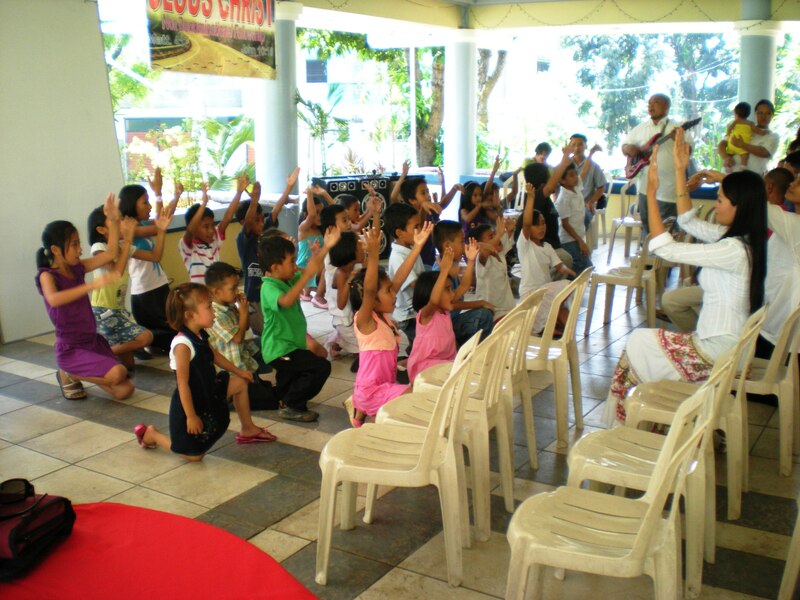 Many of the people in attendance were children with a hunger for God. A fellowship of brethren has been established with Br. John Sarmen overseeing the work with the elders there. Funds were given to help with the rent of a meeting hall on a monthly basis. 2. 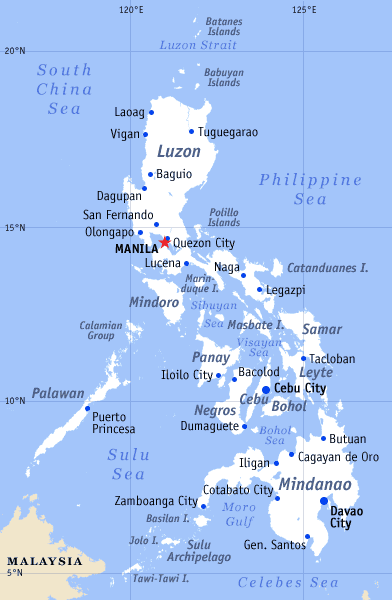 Cebu, the Capital City on the island of Cebu. This was the second stop of our trip and again we found open doors with the brethren eager to hear the Kingdom message. Some of the brethren who have oversight with the work in Cebu have come from the Lianga fellowship on Mindanao Island that have previously heard and received this message. We feel confident that the work here will continue with their oversight. We had also set up here a provision of funds that were desperately needed to provide monthly rent for a hall for them to meet in. 3. Jabonga, Mindanao-Br. Edmar and his wife have a bible school in which they teach young adults for the work of the Lord. They have been coming to the yearly conferences for quite some time. During this past conference in February the Lord opened their understanding greatly to the Kingdom message and they immediately began to teach it in their bible school. To say the least, they encountered difficulties with the regional director who has some oversight concerning the school. Nevertheless this couple opened the door for us to come and hold a two-day conference with their church and their students. 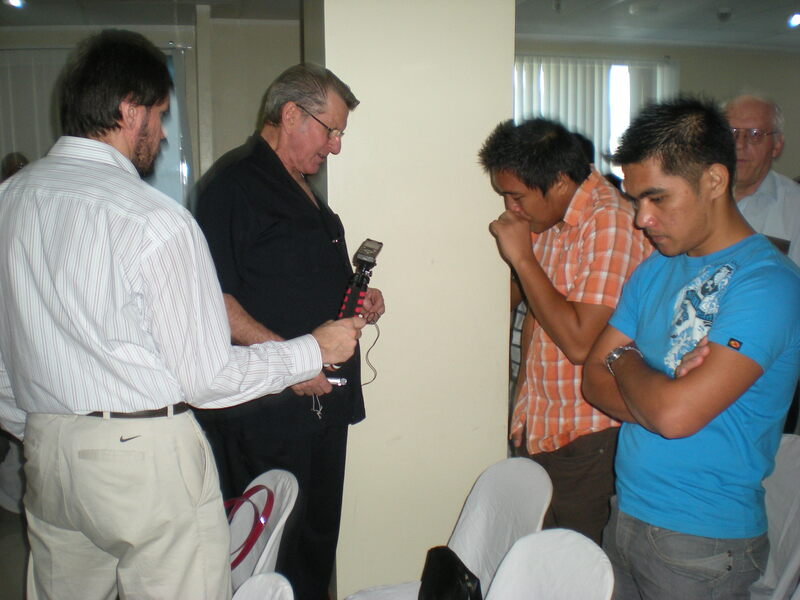 We had excellent meetings and there is great anticipation with them for us to return to minister the Word of God. 4. 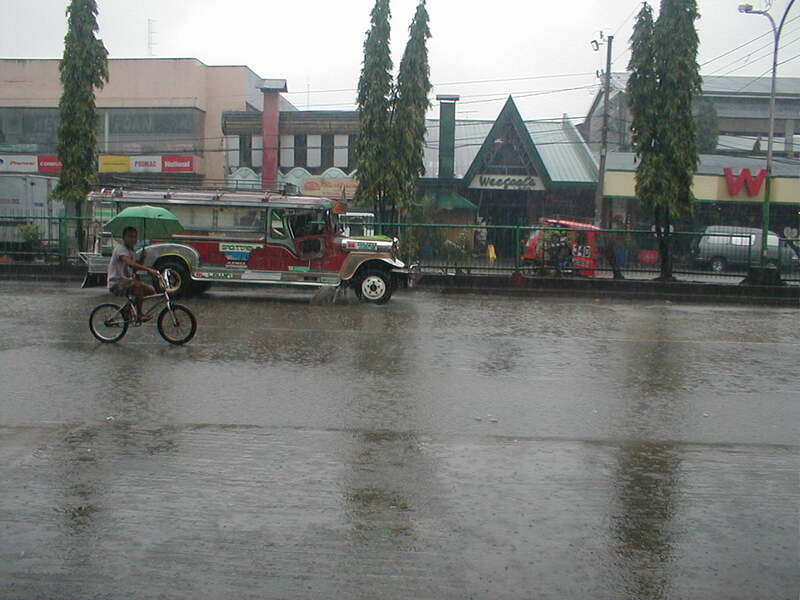 Butuan, Mindanao- This is the base of the work of the Philippines as well as the School. We held meetings with the elders in this area along with the elders from the Lianga fellowship. We also had two days of meetings with the brethren and the tribal people as well. The work here continues to grow both on a spiritual and natural level. We have been most pleased to see them taking hold of the Word of God. 5. On this past trip to the Philippines we started our first self-sufficiency project. We had learned from our experience in India that before any program could succeed the brethren in that country must truly understand the workings of a self-sufficiency program and provide a good business plan in order to succeed. 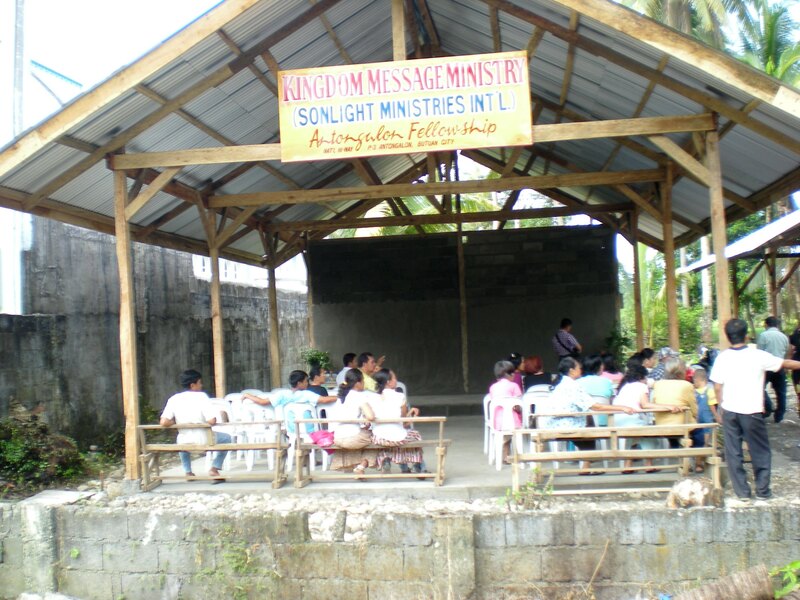 In January while in Butuan the team had devoted a day to teaching the brethren how self-sufficiency programs can make them self-supporting as well as to prosper the Church. We discussed the importance of knowing what type of program will work for their local area and the need of diligence and integrity in order for God to bless their work. 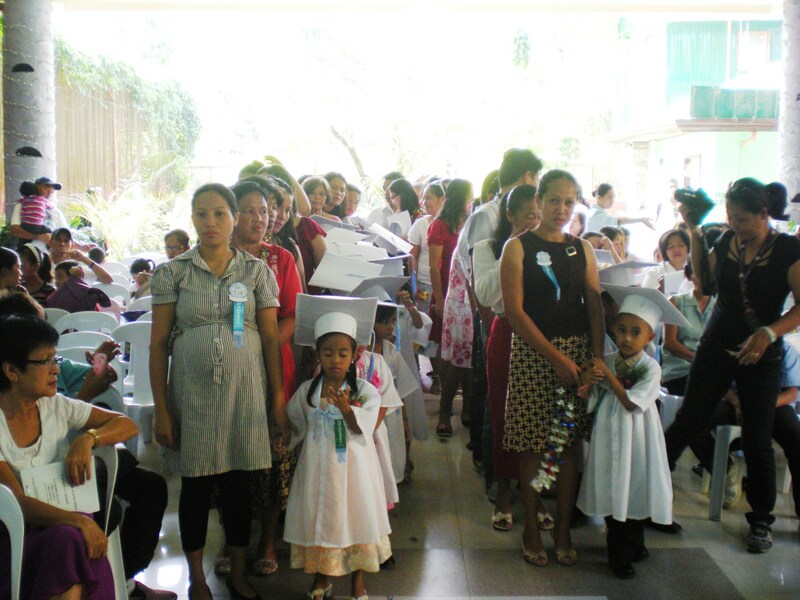 On that basis we have funded our first self-sufficiency program in Manila. It is vendor stand selling prepared cooked chickens. A loan of 900 dollars was provided with the agreement to repay these funds in one year. When the money is repaid the funds can be used to start another self-sufficiency program. We hope to start several more of these programs as the Lord provides. It is exciting to see for this has great potential in helping our brethren in establishing businesses that will provide employment, income as well as financial blessing to the Church. 6. Kingdom Message School. When Sister Merlinda started this school in 2010 the total enrollment was 45 students. The school year was a great success with not only the students learning their academics but more importantly they were learning about God. A number of the mothers gave their lives to the Lord and regular meetings were established to help them grow in the Lord. With the success of the first school year, Sister Merlinda believed that the enrollment would double to 90 to 100 students. At the end of May by the time the enrollment week ended the total student’s for pre-school, kindergarten and first grade came to 120! Sister Merlinda was excited to say the very least. But with this added enrollment has come more challenges. The basis of the school was to move in faith and provide schooling for the very least of the people in their community. That is to give schooling with biblical teachings to children who could not afford such an opportunity. The support of the school is made possible through the generous support of the brethren from the USA, Europe and Africa. We have also set up a sponsorship program in order for brethren to support a student or students for the school year on a monthly basis. A website has been established concerning the School, it’s operation, the sponsorship program and where to send donations. The site also includes the various projects and current status of the work there. 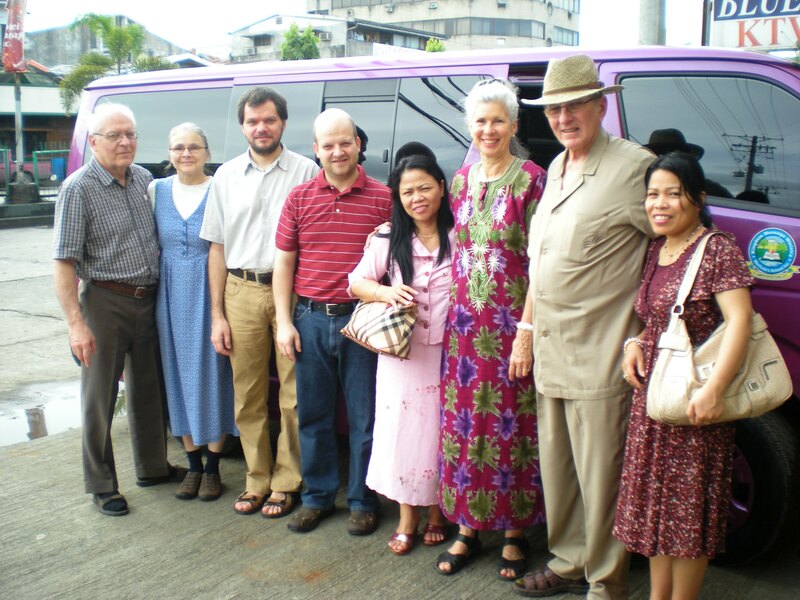 I encourage everyone to visit the website at http://www.kingdomfoundationph.org/ in order to see in more detail the work in the Philippines. The most important issue and request in this letter is the need of prayer and intercession for this special work in the Philippines. The work is expanding greatly but also the work of the enemy has greatly increased. I am reminded of the scripture verse in 1 John 4:4: Ye are of God, little children, and have overcome them: because greater is he that is in you, than he that is in the world. He has given us the keys of the Kingdom but we must use them in order to defeat the enemy. So, dear brethren, please intercede in prayer on behalf of this work and nation. Praise the Lord!